Wexford hurling manager Davy Fitzgerald and Armagh football manager Kieran McGeeney. 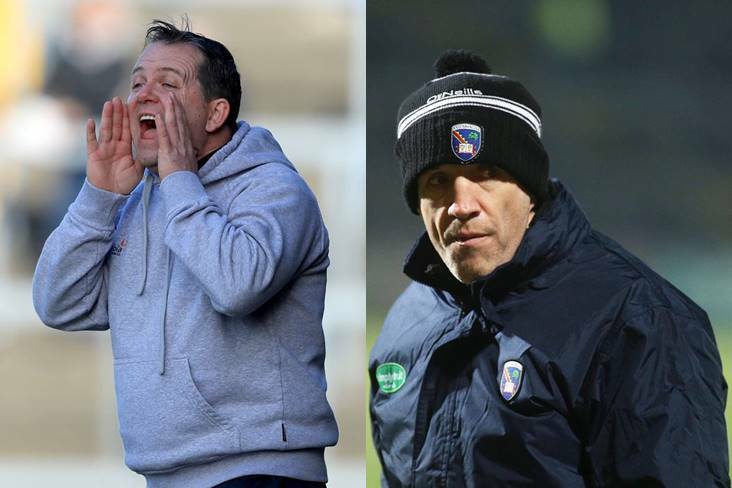 The senior footballers of Armagh and Laois and Waterford and Wexford’s hurlers are set to lose home advantage for one game in the 2019 Allianz League over breaching training regulations. The GAA designated last April as a “club only” month to tighten rules on inter-county activity between the end of the Allianz League and start of the All-Ireland championships. The Irish Independent reports that Armagh and Wexford will have home advantage stripped from them for travelling to Portugal last spring, while Waterford and Laois are in for the same punishment after holding training camps in Ireland. It is understood that the four sanctioned counties will bring appeals to the Central Hearings Committee (CHC). Should Wexford lose their case it would prove costly as their home clash with All-Ireland champions Limerick at Innovate Wexford Park on January 27th would be switched to a neutral venue.